Pleasures of the Garden begins in ancient China and ends on the Isle of Man; it admires both stately landscaped parks and a soap box full of red geraniums on a fire-escape. It shows that gardening is for everybody, whatever their resources. 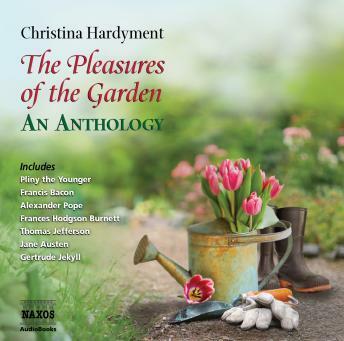 It features classic writers on gardens such as John Evelyn and Gertrude Jekyll, famous historical figures like Pliny, Francis Bacon and Thomas Jefferson, the novelists Jane Austen, Charlotte Bronte and Robert Louis Stevenson, and the poets John Donne, John Clare, W.B. Yeats and Rudyard Kipling.